Yes, we all love out cute kittens gifs and puppies photos. But did you ever wonder who actually rules the internet: dogs or cats? 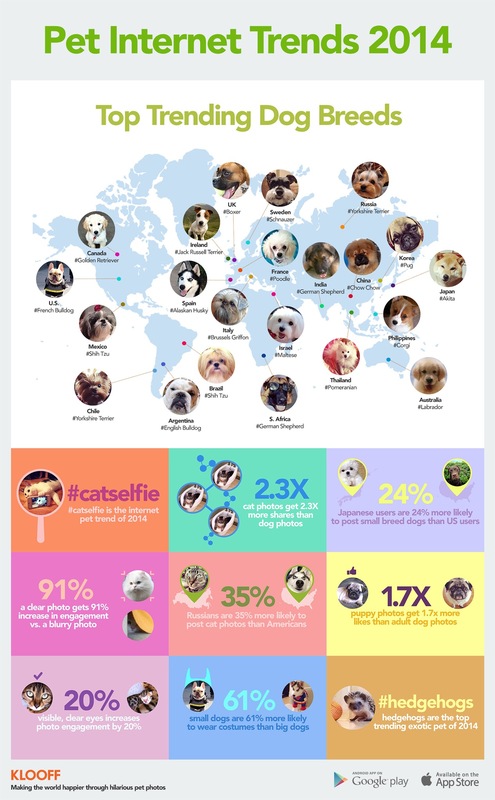 Klooff (a social media company for pet content) shares an infographic highlighting 2014's pet internet trends and the numbers are interesting. 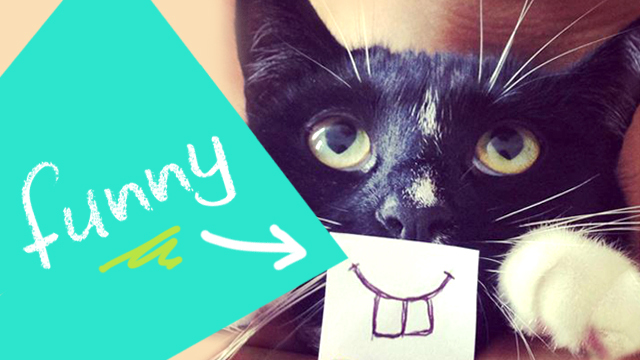 #Catselfie is the internet pet trend of 2014. Cat photos get 2.3 time more shares than dog photos. A clear photos get 91 percent increase in engagement vs. a blury photo. Puppy photos get 1.7 times more likes than adult dog photos.